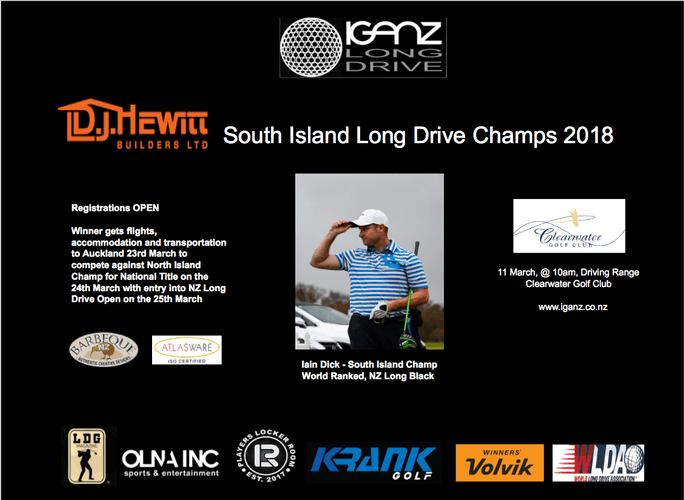 See, the hardest, fastest and longest hitters to golf compete for South Island Championship title. Long Drive Clinic for Kids, Women's Champs, Masters, and Open Men's. The winner from Men's Open Competing for National Title on 24th March in Auckland. Live performance from Ben Lummis, 5 x Platinum, 1st NZ Idol.